How many ways can you use a 3D scanner in a foundry? You’d be surprised. Archive & document old patterns, maybe even do some house cleaning. Reverse engineer incoming castings, inspect patterns, molds, and cores prior to use, with automatic scan to CAD comparisons. Inspect castings at various stages of post processing for QC. 3D Scanning and reverse engineering can be a service to bring in new customers, retain current customers, and for internal quality control. See the various options below, and contact us for more information. A high precision automated 3D scanning station. An automatic, hands-free solution that will allow you to create thousands of accurate 3D models in the most time saving and cost-efficient manner. 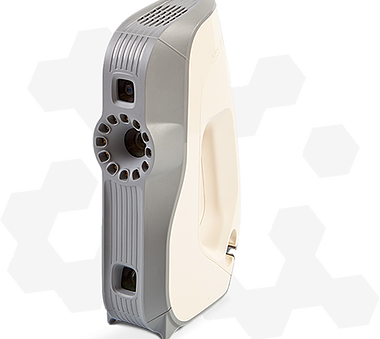 The Artec Space Spider 3D scanner mounted to a 3D scanning arm captures data automatically, faster and more accurately than a person, eliminating the need for manual labor. Thanks to the high degree repeat-ability of data capture, you can digitize large volumes of objects with great accuracy. Use for a wide range of applications, including pattern archiving, reverse engineering, quality control. 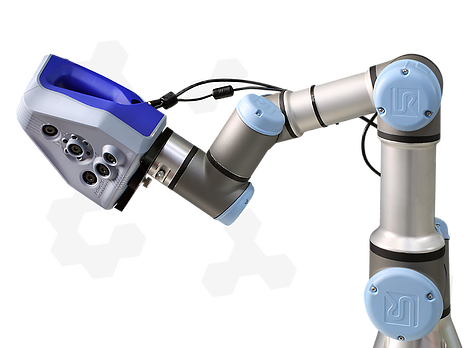 RoboticScan provides greater control and faster results than manual 3D capture, and rules out the risk of human error. The functional end of the RoboticScan system can also be used as a hand held scanner. Maximum scan accuracy can be reached in about 3 minutes. This blue light LED scanner has great fine detail capability. Quickly capture scan data for reverse engineering or QC. Highly portable, with a 2 year warranty. 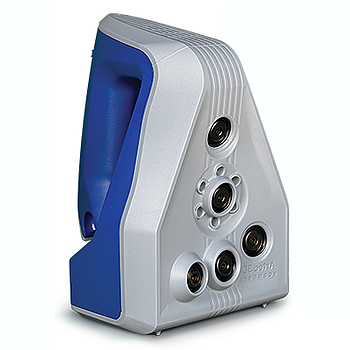 The Eva 3D scanner has a lower resolution, larger field of view, and higher data acquisition rate. This is a structured white light scanner, and can also be used for many larger reverse engineering applications.